DASH or Digital Cash was invented so that private payments can be done online in an instant. It is a value focused crypto currency. The DASH comes with enhanced level of user anonymity, hence providing the user a feeling of security. The DASH comes with a low exchange rate but has a faster conformation time. The DASH has implements PRIVATESEND technology to its protocol level itself making it lightning quick during transactions. Another main thing about DASH is that, DASH merges smaller multiple transactions into a master transaction which is then signed by the sender before getting broadcasted to the network. Recently DASH has also introduced the concept of master nodes. When certain nodes meet the criteria level set by the network, they will become the master nodes. They replace the centralized servers up to an extent. 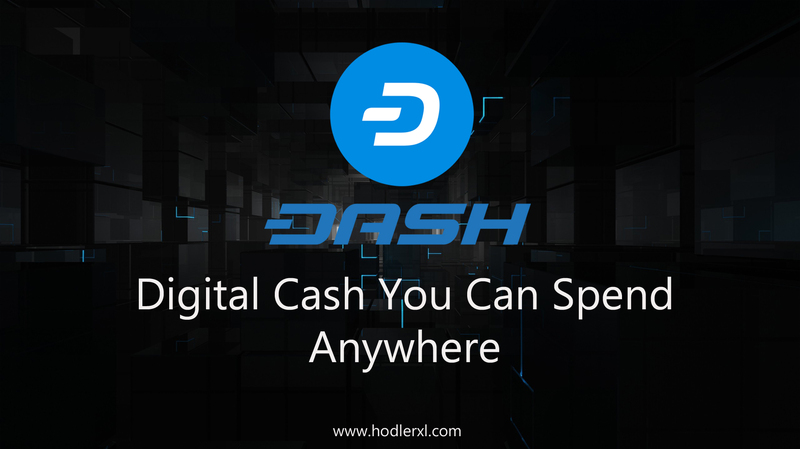 Creation of such master nodes has allowed the developers at DASH to create and operate a highly stable currency. Although blockchain keeps anonymity of its users, it is actually possible to find the person behind the private key as it is available on the public ledger. It is also the case with bitcoin. The DASH creators solved this problem by creating something called the DARKSEND framework. The DARKSEND framework takes all the smaller transactions and put it as a bundle making it extremely difficult to find a specific sender and a receiver. More than that, the master nodes will make the transactions in such a way that it is random and rational. Thus DASH ensures the anonymity of the user. DASH works in a similar way to that of the bitcoin. Bitcoin uses a single tier network where as the DASH uses a two tier network. These two networks combine to make DASH coin one of the best crypto currencies of all time. First tier is designed just like the bitcoin itself. Users relay all their transactions to the network and the miners put these transactions to the network. The innovation of DASH comes in the second tier where they use master nodes. Master nodes adds speed making it lightning fast, privacy by implementing DARKSEND protocol and also adds another layer of decentralization where user has the upper hand. You can buy DASH coins through wire transfer from all the major exchanges. In selected locations it can be bought through automatic teller machines or the ATMs. One should stay up-to-date so that he or she could reap maximum benefit out of this crypto currency. DASH wallets are devices used to send receive or transfer coins to one another and is advised to use a strong password. DASH stands at the 6th largest crypto currency in terms of total market capitalization. It has never gone out of the top ten crypto currencies in the world since its inception. The usage of master nodes and clear governance has made positive impact for DASH in the long run. Further, the DARKSEND feature which grands the user complete anonymity is also a huge bonus for DASH and its customers. Investors always look for mature crypto currencies who has proven their grounds instead of picking the winner of the moment. DASH had intense competition yet it thrived and succeeded. DASH is designed in the way that the profit will reach everyone according to the investments they made and the risks they have taken. It does not have any loopholes in it, nor does it give any special privilege to investors. DASH is the closest thing that we have to blockchain based decentralized governance. They have envisioned a future for DASH where it is transparent and unbreakable. So we can say that DASH has everything that it need to innovate, grow and sustain in the long run.